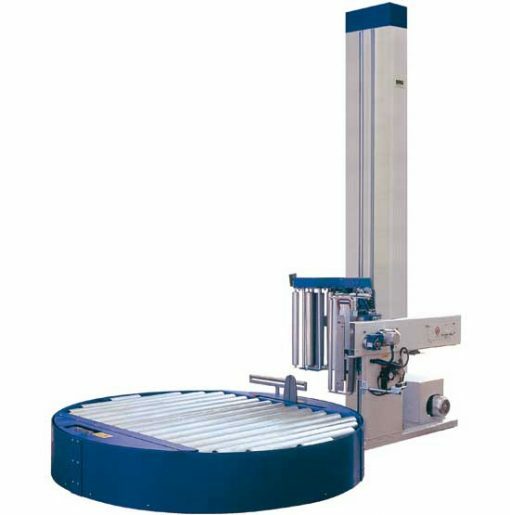 The AV200/AV300 rotary table wrapping machines have been developed for medium capacity production, complete with motorized roller, and a totally automatic device for film stapling, cutting and sealing. 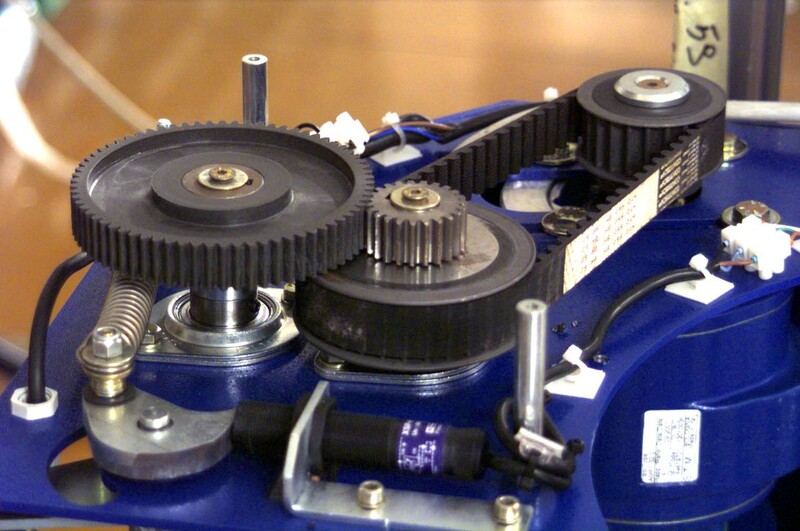 Furthermore, the motorized pre-stretch device feature greatly reduces film consumption. 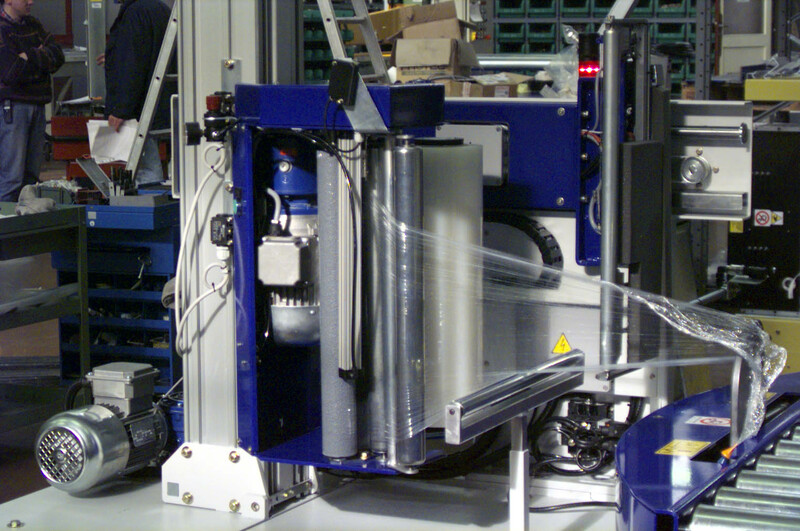 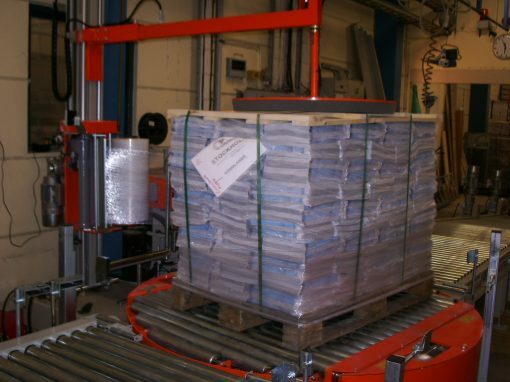 Models AV200/AV300 may also be fitted with a completely automatic sheet insertion device which, during the pack pre-wrapping stage, undertakes to unroll the necessary amount of film, and after receiving consent from the winder undertakes to place it at the top of the pack. 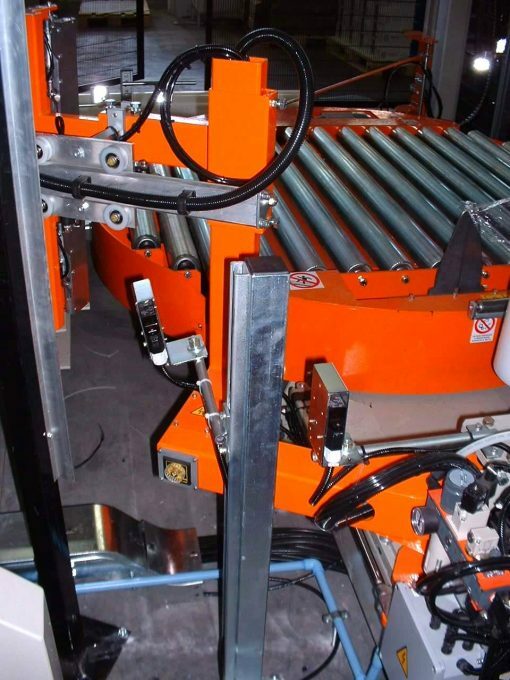 At the end of the depositing operation the wrapping machine completes its winding cycle and expels the pack from the roller. 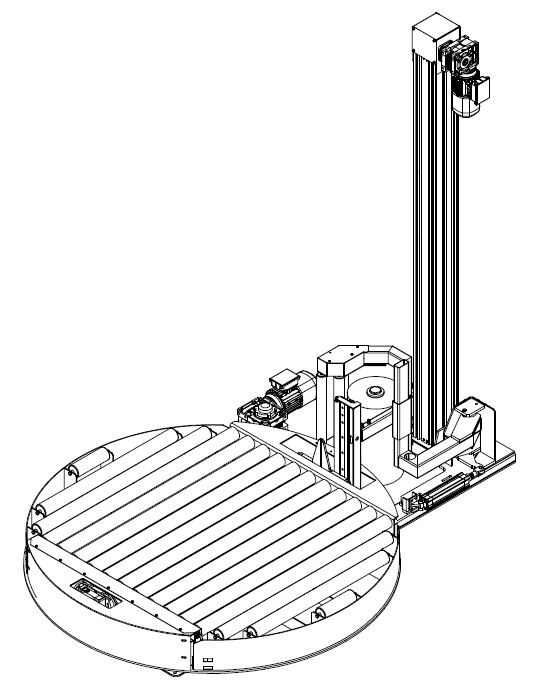 The electro mechanic pre-stretch uses an electromagnetic brake feed by an electronic card which tensions the film. 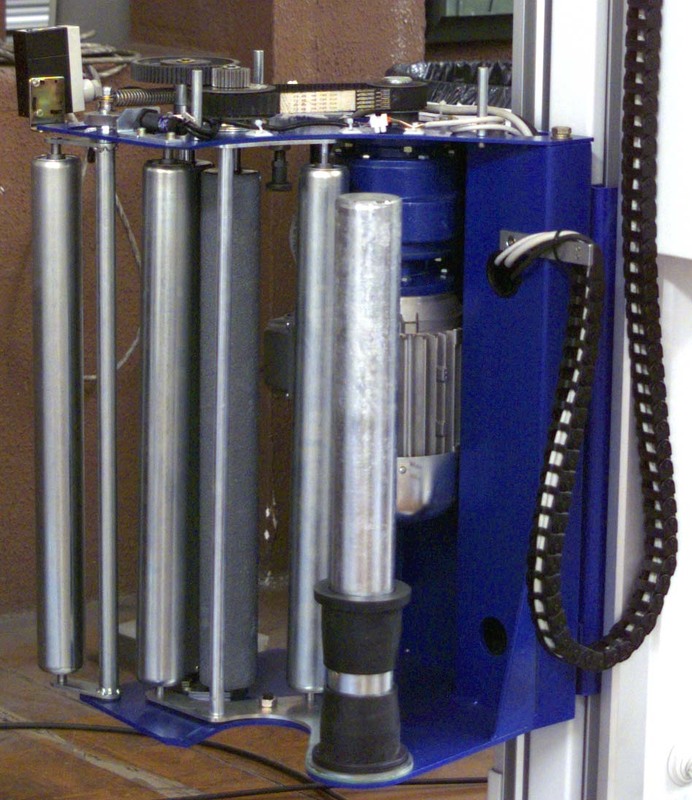 The motorized pre-stretching, sensibly reduces film consumption since it stretches the film by about 4 times its initial length. The machine is also equipped with a touch-screen operator panel with which it is possible to set the winding program, the number of wrapping turns, film overlapping and film tensing on the product. 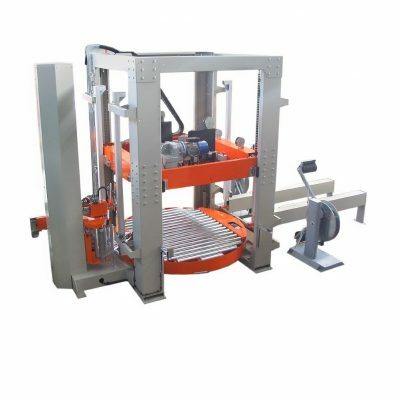 Moreover, it provides machine diagnostics and important information such as cycle times, film used for each pack, wrapped packs counter, and execution times. 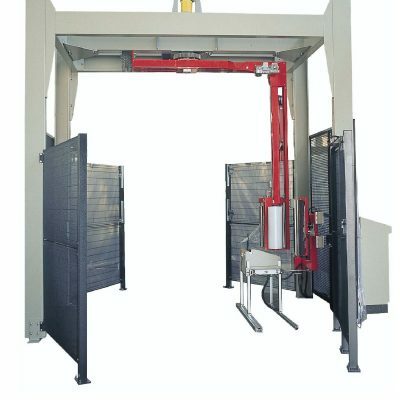 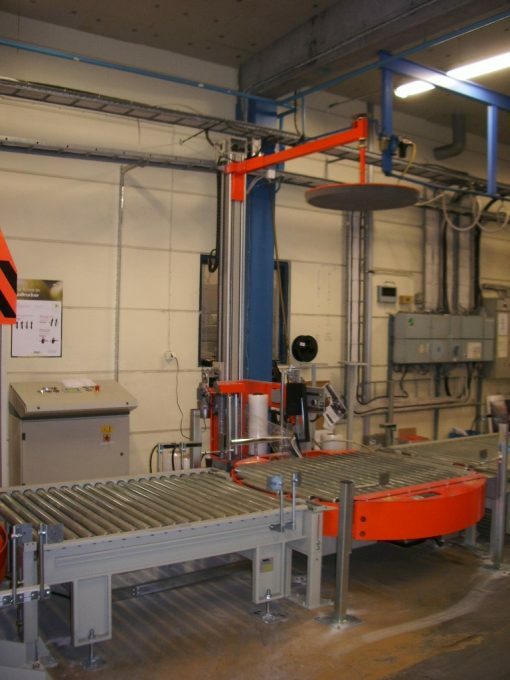 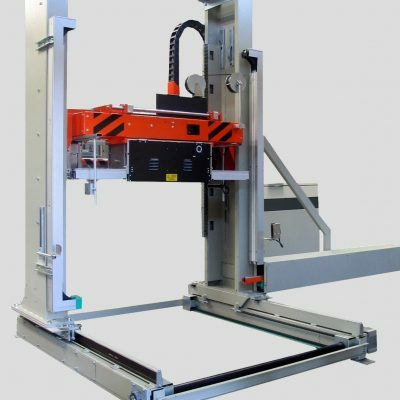 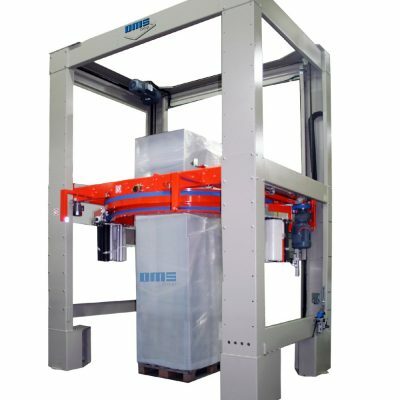 The machine can also be equipped with optional devices such as a press to hold unstable loads, a top sheet dispenser to seal the upper part of the pack with a waterproof system and, if needed, a conveyor with two or more chain branches.